As connected as we can be, it's refreshing to know that there are still things that can be embraced even if it has a strong heritage and culture that we have yet to adopt (or maybe have unbeknownst to be engaging in it without being aware). As the Co-Founder/Style Director, part of the rewarding experience is to find how I have been aligned to a number of concepts within Athleisure that I have done for years (as well as learning about things that I was previously unaware). I say this as anyone who knows me knows that I am all about comfort (while looking chic), being cozy and being able to take moments for myself as well as intimate gatherings with others. I feel that in the midst of a fast paced lifestyle, these moments are essential to our wellness survival and it keeps my batteries charged when I work at dizzying speeds! So when I started hearing about hygge, I became curious as I wanted to know more about this integrated way of being that has its roots in Danish culture and is making waves across the globe. There was no better person to talk about the intersectionality of hygge happiness, socializing and more, than Meik Wiking who has literally written the book about the practice for those of us who are not familiar! Clearly, he is well versed on the subject as he is from Denmark and is the CEO of Copenhagen's Happiness Research Institute. Following this interview, I have curated items that you should have on hand in order to embrace hygge especially with the winter season when we could use a little extra comfort and centering! 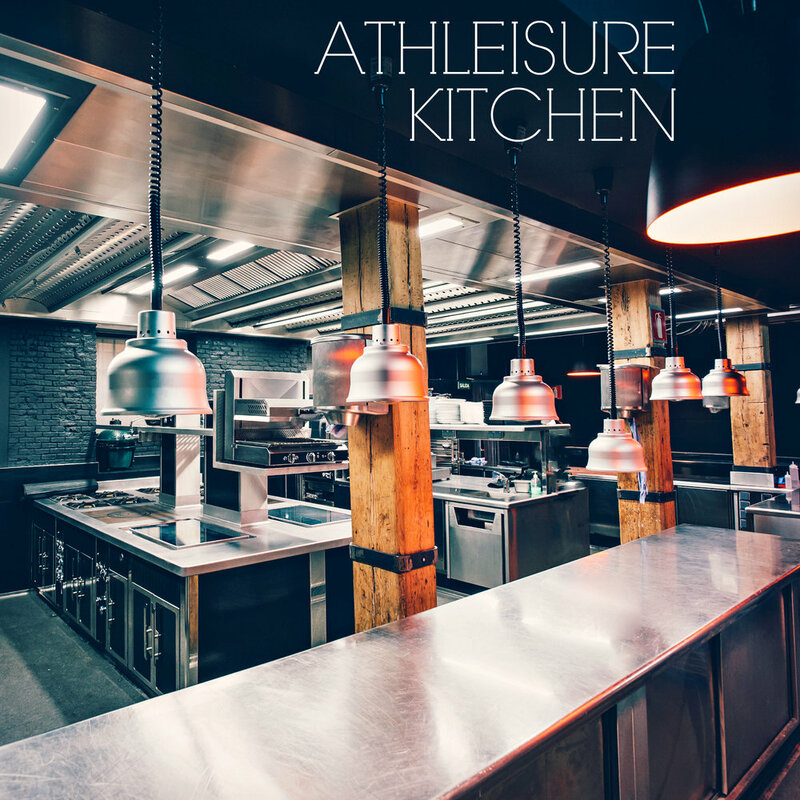 ATHLEISURE MAG: Tell us about your background and how you came to creating a career that focuses on the study of happiness and the creation of The Happiness Research Institute? MEIK WIKING: As CEO of Copenhagen's Happiness Research Institute, I study what makes people happy across the world. In 2011, the UN published a resolution which stated that “the pursuit of happiness is a fundamental human goal” and in 2012 it released its first World Happiness Report. Denmark regularly topped the list, and occurred to me that somebody should be trying to gather some intelligence about why we were doing so well in the happiness rankings, and then I thought “maybe I should do that.” In a matter of two months, I had quit my job and started paying even more attention to the global interest in what makes us happy. AM: How did your work in the research of happiness bring you to creating The Little Book of Hygge? MW: On a weekly basis, I am asked questions like “Why are the Danes so happy?” and “What can we learn from the Danes when it comes to happiness?” from journalists, researchers, nalists, researchers, and policy makers around the world. Denmark does have a strong social safety net, but so do other Scandinavian countries and Denmark still ranks highest on happiness surveys. I came to realize that there might be an overlooked ingredient in the Danish recipe for happiness, and that is hygge. AM: Throughout the book, you share the feelings and sentiments that create hygge and how it can be experienced alone, as well as in a collective, what are your favorite moments of hygge? MW: Hygge is something I practice every day. I try to build a little pleasure and gratitude into my daily routine. AM: In your opinion, is hygge a component of mindfulness? MW: Not to us Danes. We have been talking about hygge for the past two centuries, whereas mindfulness is a recent trend. Also, we don´t see hygge as a trend, but more a part of our culture and national DNA. But I understand why this question is being asked, because both mindfulness and hygge share a focus on being present. AM: With an increase in meditation studios, candlelight yoga sessions, spaces where silence is encouraged to reconnect and retreats what elements of hygge can be included in these activities? MW: Hygge mainly has to do with the absence of sounds, which enables you to hear even very quiet noises such as raindrops on the roof, wind blowing outside the window, the sound of trees waving in the wind, or the creaks of wooden planks that yield when you walk on them. Also, the sounds of a person drawing, cooking, or knitting could be hyggelig. AM: For those who travel extensively, how can they make their hotel rooms or create a traveling hygge kit in order to feel that sense of comfort, when they're away from home? MW: In THE LITTLE BOOK OF HYGGE, I talk about hygge emergency kits which can include candles (good quality), chocolate, tea, a blanket and, naturally, a scarf. In Denmark, we suffer from scarf withdrawal syndrome, so it’s important to have one on you at all times. If you pack this up and take it with you, this can easily be your hygge travel kit. AM: Although you grew up in the world of hygge, why do you think that other countries have begun to adopt it? AM: The book shares a number of stats that reflect the happiest countries, is there data that reflects the happiest US city or state or one that reflects a region that is the most hygge like? MW: In the US, you have, for instance, the General Social Survey, which would tell you the level of happiness around the country—however, I think we have yet to see a hyggeindex—even in Denmark. AM: We enjoyed hearing about how extroverts and introverts can experience the benefits of hygge, can you share with our audience how it can assist both groups? MW: Introverts derive their energy from within, while extroverts derive theirs from external stimulation. Hygge can be labelled as socializing for introverts, because it is about being with others without it being draining. And extroverts can light some candles, put on some soothing music, and embrace their inner introverts on occasion. AM: After reading this book, there are many notions of hygge that I have done for years without knowing the culture behind it and as the Co-Founder/Style Director of Athleisure, in addition to showcasing an active lifestyle, we are a major proponent of wearing garments that are comfortable and work with your lifestyle, taking moments to connect with friends in a myriad of ways and more. How can those within the athleisure culture mindset adopt hygge? MW: It sounds like many of your readers are already maximizing hygge. I would suggest just talking about it more because our language shapes our behaviour and our behaviour shapes our happiness.